Here you'll find the due date of your current bill. WHAT ARE THE CHARGES FOR MY SHAW DIRECT SERVICES? Charges for your services are summarized here along with previous charges, payments and any promotional discounts. You'll also see a breakdown of applicable taxes and fees. HOW DO I CONTACT SHAW DIRECT? Here you'll find our phone number for any assistance required as well as our website. Here you'll find our phone number for any assistance required as well as our website. 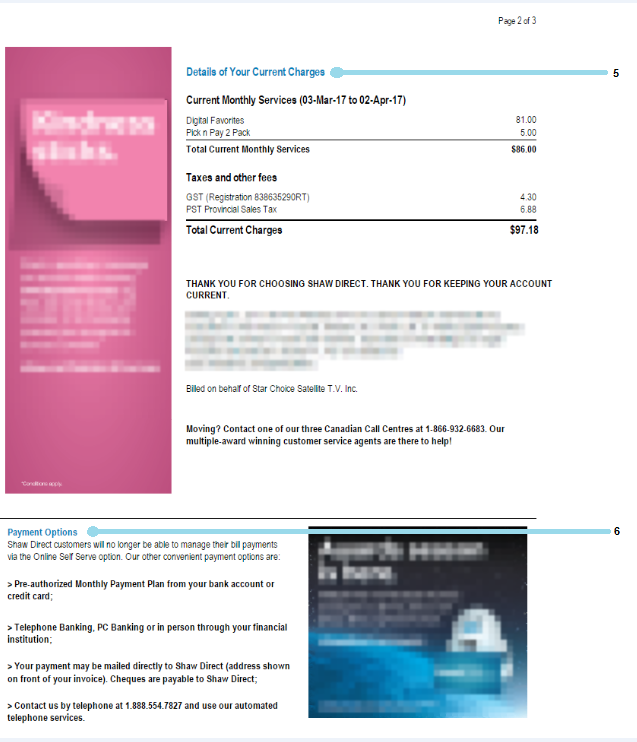 Here you'll find the amount due, which includes your current service charges and any previous balance carried forward. WHICH SHAW DIRECT SERVICES HAVE I USED? 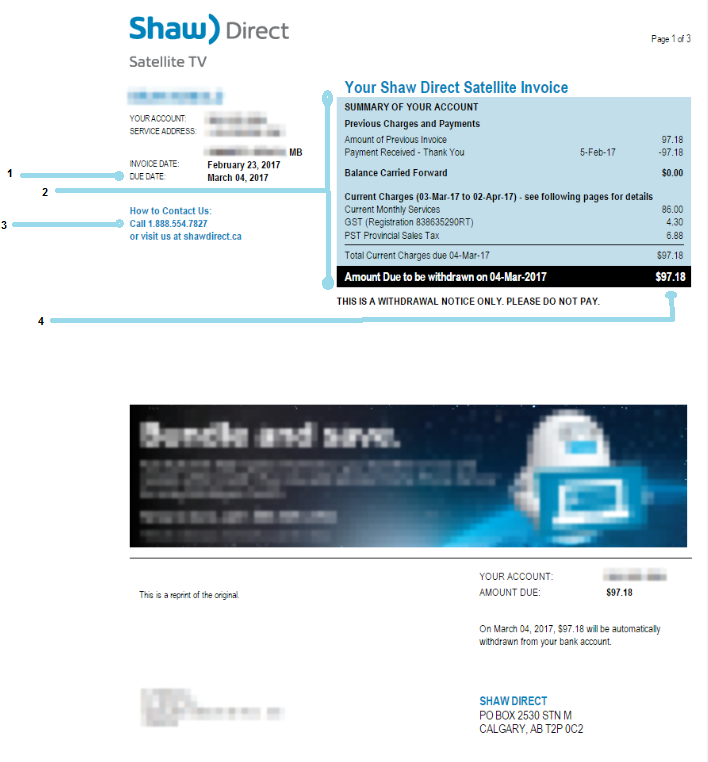 Here you'll find a detailed breakdown of all your Shaw Direct services, charges and discounts. HOW OR WHERE DO I PAY MY BILL? Here you will find the various options of payment available to you.